How did you add it? When you turn the CS Weather Radar OFF, is the rest of PDF? Or did you shrink the PDF and place the WxR in the upper section of the gauge? FS Panel Studio and it was in the selections of my gauges. �I placed the WRX gauge into a virtual display location replacing what was originally there. �I then added the CS WX Radar to my instrument window and it is brought up with shift+6. I tweaked the Area 51 C-5 with anything that was in my Gauge folder to make it look better. �Combination of Area51, ISG, CRJ, 737, C17, Beach Baron, CLS and CS. �All these years of buying these planes puts alot of gauges on FSX. 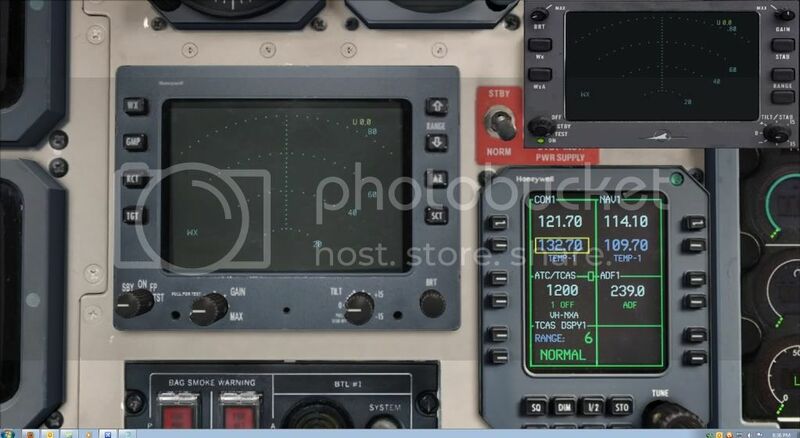 Been working on panel upgrades to my CS C-130J variant as well, I have figured out for the most part how to change the VC panel view, and add the gauges namely the ISG EFS50 EADI and EHSI however there is a shadow I need to find that has the location of the original instruments for the lighting to block where light should not be. With these you can view /change/edit textures, panels and screens. �Then alot of trial and error till you figure out where things are located on the panel versus texture. FS Panel Studio is a payware but the other two are freeware off the net, just google them. Then just remember when editing textures in FSX, they are inverted and 180 degree flipped. And always always always make a copy of your original texture / panel folder before you modify anything incase you make a mistake you can restore to the way it was. Then just remember when editing textures in FSX, they are inverted and 180 degree flipped. �And always always always make a copy of your original texture / panel folder before you modify anything incase you make a mistake you can restore to the way it was. I have had FS Panel Studio and DXTBmp since 2005. I don't have Paint.net though. I have heard about it, but never tried it (at least I don't think I have). Going back to what you have done, my question was whether the WXR was over the top of a gauge so that when the WXR was turned off, you could see another gauge/instrument beneath it. I'm only asking because NaMcO was talking about placing it over the top of another instrument, so that when the WXR was off, the gauge underneat was visible (the WXR being transparent when turned off). With most aircraft, it is possible to replace a gauge/instrument. The ones that you can't, are ones that use 3D gauges that are created in the model (MDL file) itself. I deleted the generic gauge Area 51 had in there and put the CS WXR.DLL in the top portion of that VC window and then added another gauge to the bottom of that same window to make it look no so bare. 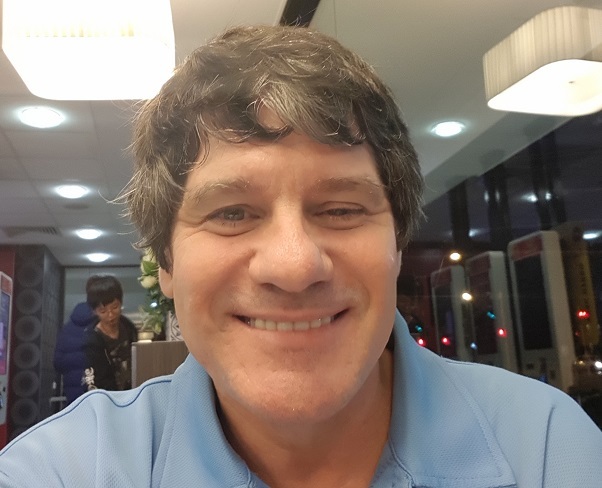 2D is very easy to change things around, but the VC you have to have an existing window then delete what was there and add the new ones. I meant the weather graphics showing INSIDE the ND display, just like on the 757 and 767 radars. No. They don't. If there is already a gauge in the location of the VC that you add the WxR, then either the WxR or the original gauge will be displayed. Not both, and not the WxR displaying in the ND. It is a case of either the WXR or the gauge that is already in that position in the VC. The weather Radar for the 757 and 767 is built into the Horizontal Situation Indicator (HSI) Display and so when it is running, you can still see the rest of the workings of the HSI. I have tried adding the WxR into the VC of a few add-on aircraft I have, but I only got the weather display screen visible in it because of no "frame" to be added. Most add-on aircraft don't really have the room to put it anyway, so it won't help if that is the case. At the moment, I have not redone it since reinstalling FSX late last year. I'm too lazy. The 2D gauge works fine enough to syop my efforts of a VC WxR. I put the CS Weather Radar into the "other" JetStream 4100 Athough I need to use SHIFT+6 to open the WXR to turn it on andto make changes, I do have the display showing on the panel. In the Panel.cfg they have the RXP WxR located there, I just replaced it with the CS WXR display. 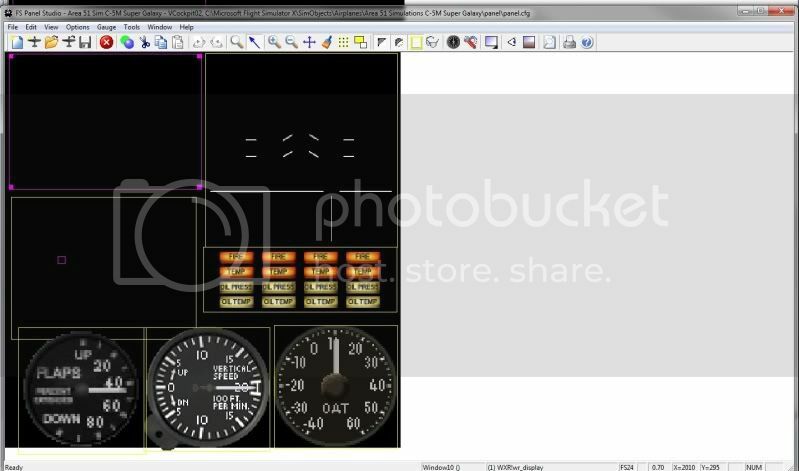 gauge04=WXR!wr_display, 532, 528, 472, 331 <- This to replace the line above (adds the WXR Display into the JS4100 VC).